Fill a large pot with enough water just to cover all the corn and boil over high heat. Add sugar to keep corn sweet and tender. 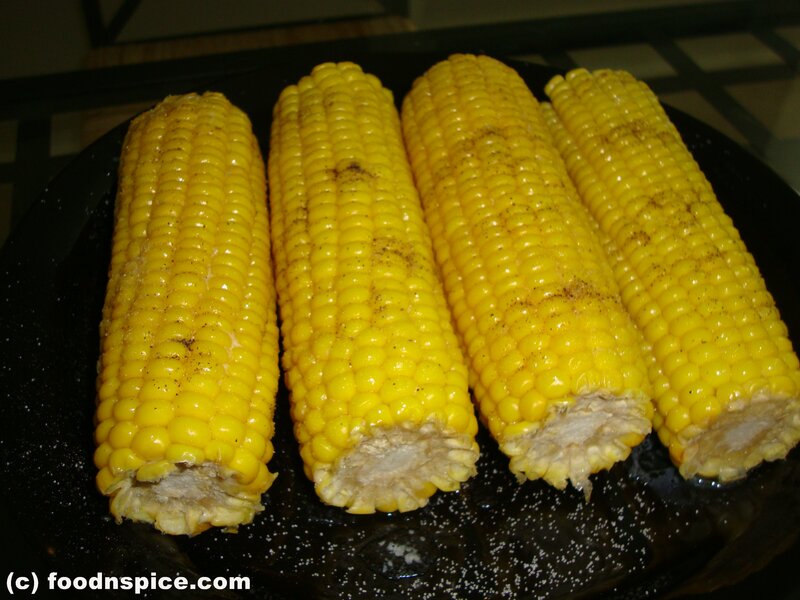 Don’t add salt to the cooking water while cooking corn, as it will toughen the skin of the kernels. Add corn to the boiling water and cook for 5- 10 minutes,depending on desired tenderness. Remove corn from the cooking water and serve immediately. You can apply a pat of butter as soon as you take it out of the water and sprinkle salt & pepper. Heat butter in a pan, when it melts add all purpose flour(Maida) and fry it. It should not turn brown. Remove from the fire and add half cup milk and stir nicely not to form lumps. Add all the milk and cook in the fire till the sauce is thick. Add salt, pepper powder and oregano to sauce. 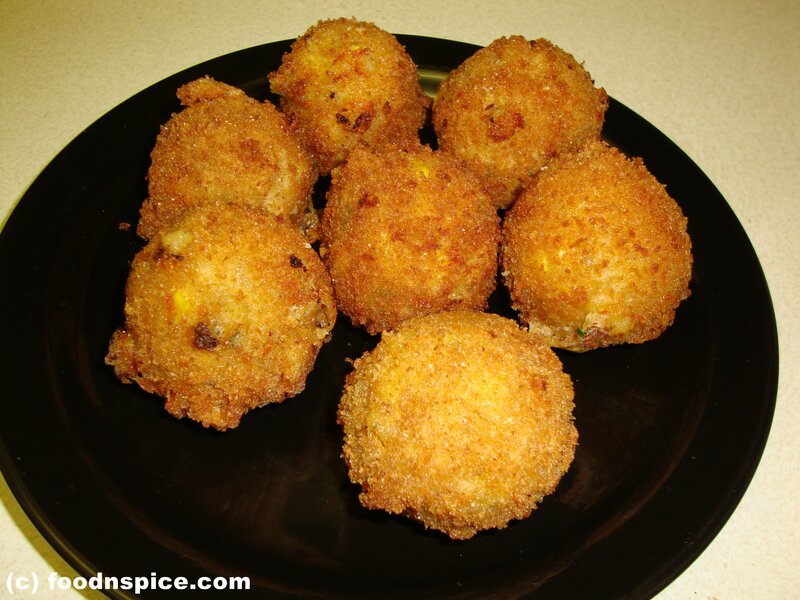 Combine oil and onion in a microwave safe dish and cook in medium high for 2 minutes. Add Red chili flakes and salt and cook in medium high for 2 minutes. Add the corn and cook in low for 3 to 4 minutes. Place the bread in a plate and spread the corn masala on that and spread white sauce over that. Sprinkle cheese over that, cook in Grill mode for 2 minutes or until the cheese melts.